Rochdale were always a good customer for AEC vehicles especially single deckers all from 1940 were AEC. Front engined Regals to start with to rear engined Swifts with the very dependable underfloor Reliance in between, the above does look quite smart with its Willowbrook body. I do like the roof windows I should imagine that they made the bus feel quite bright and airy. 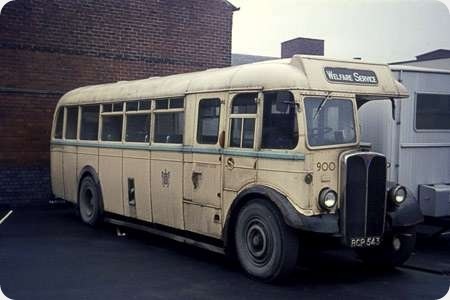 This vehicle passed over to SELNEC on the 1st of November 1969 and probably did many years service with them. The Reliance coding is bit tricky to understand a MU2RA had a synchromesh gearbox and vacuum brakes, what the 6 stood for I do not know, engine size perhaps, if anyone knows all the Reliance coding and what they all stood for please let me know and I will put them on the abbreviations page. Thanks to David Oldfield for putting together the codes for the AEC Reliance which can be seen here. 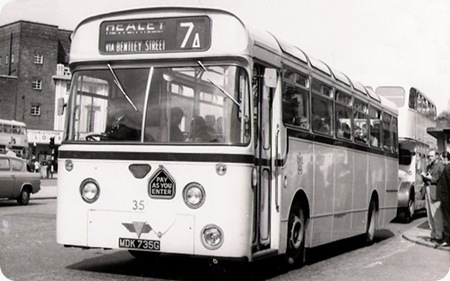 The 6MU2RA had Monocontrol gearboxes and air brakes as had all Rochdale’s Reliances. In the AEC code no 3 stands for Synchromesh and ‘V’ for vacuum brakes. Also Rochdale’s Regals were not front engined but underfloor engined Regal IV’s. They were 1-7 with East Lancs bodies (1951) and 8-15 with Burlingham bodies (1953). 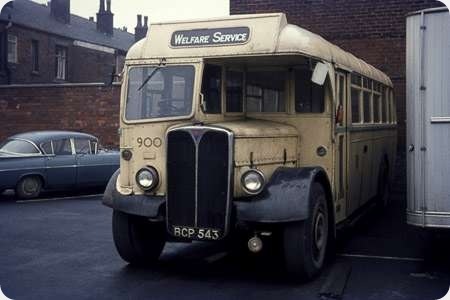 All were delivered as B42D but were converted in the late 1950’s to B44F. 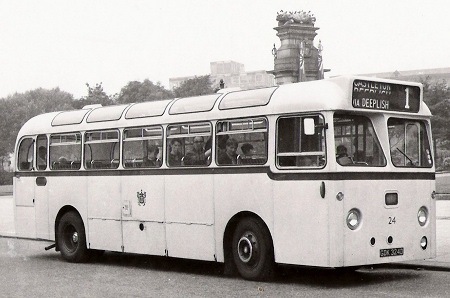 Four (11/13-15) were sold to Lancaster City Transport around 1957 as the Healey route 2 was converted to double-deck operation and Rochdale had less need for saloons.